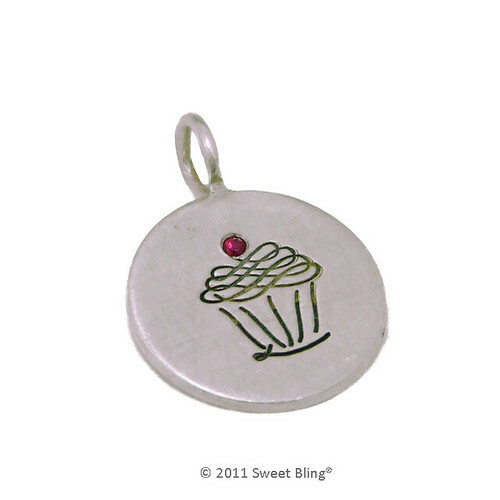 Sweet Bling is giving away this One Haute Cupcake™ hand-stamped charm. The sterling silver charm is topped off with a dazzling ruby. This is one of three pieces of jewelry that Sweet Bling sells that benefits TERI (Training, Education & Research Institute), a private, non-profit agency serving the needs of children and adults with autism. And right now you can can get 20% off your Sweet Bling order if you join the Sweet Bling® mailing list. Please DON'T leave a comment for entry. Use this form to enter the contest. U.S. Residents Only.